As part of the media partnership between ASEF culture360 and Orde Baru - OK.Video Festival, we have interviewed Mahardika Yudha, the Artistic Director of OK.Video. This year he is also doubling as the curator of the exhibition after previously serving as the curator of OK.Video Flesh - 5th Jakarta International Video 2011 for the sub-theme of Surveillance & Self Potrait with Rizki Lazuardi. The OK. Video festival has been successfully organized by Ruangrupa since 2003 under the name ‘Jakarta International Video Festival’. 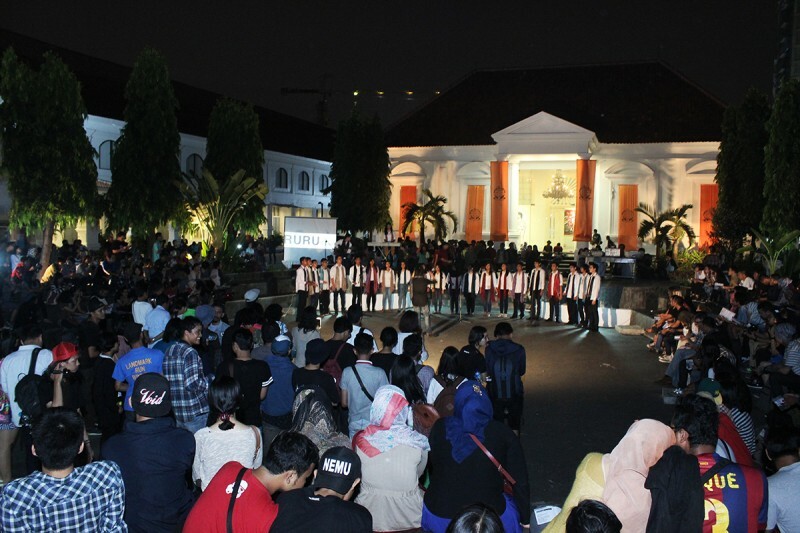 This year, the festival came with a new name, Orde Baru or “New Order”. Could you tell us the reasons behind the change of its name? The idea of changing the name and expanding the artistic medium of the festival has popped up since 2009. During that time, the use of the internet by the public had begun to show positive impacts. People were no longer just consumers of information, they started to produce these information. The climax of internet usage can be seen during the previous Indonesian presidential election in 2014. Indonesians creatively and productively made various forms of information, ranging from text to video, from production to distribution, and they did it voluntarily, massively, structurally and independently. Indonesians have reached a position where they try to solve problems without any government assistance. The technological growth especially in media in our society has driven us to expand the scope of the artistic medium used, not limited to only video, but also the scope of discussion on the arts of media itself. In the realm of Indonesian art, the discussion on video art has been completed and this was then followed by the urgency to develop it. 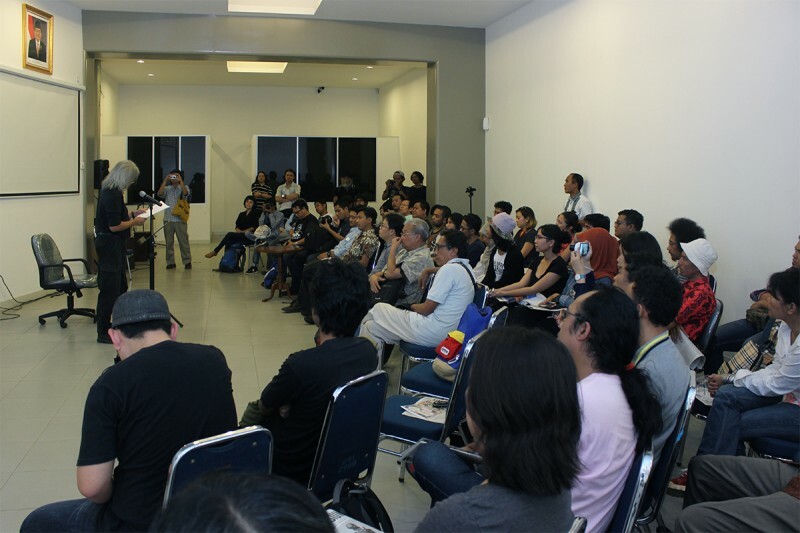 With such reasons, we changed the festival from Jakarta International Video Festival to Indonesia Media Arts Festival. 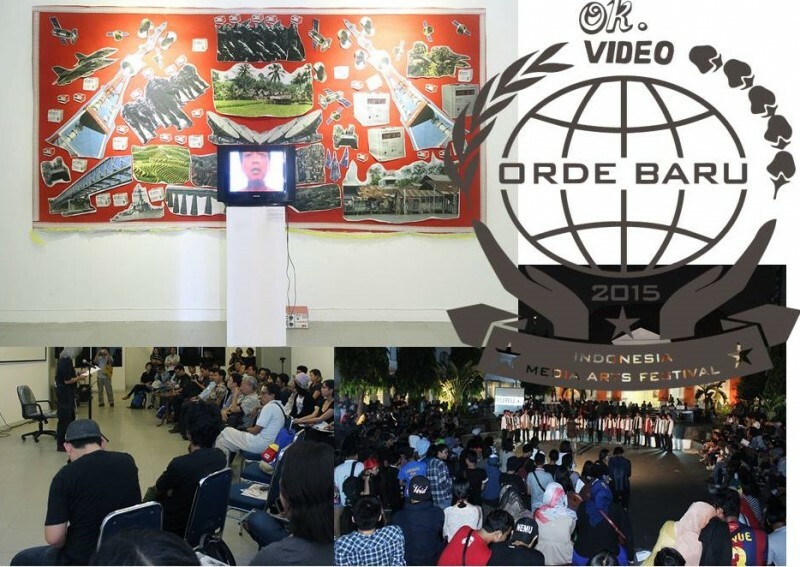 Orde Baru (New Order) is also the central theme of this year’s edition. In which way will this New Order be reflected in the festival? Orde Baru has always been an issue in Indonesia. The theme of this year’s festival was inspired by the Soeharto’s Orde Baru – or military regime –, which lasted for 32 years (1966-1998). Orde Baru was borne in 1966 to distinguish themselves and separate power from Orde Lama led by Soekarno. This year’s festival coincides with the 50 years commemoration of the events of genocide due to the seizure of power in Indonesia back in 1965. Departing from this theme, OK. Video tried to discuss the issue of historical and political media archive that was controlled by the government ruled in the analog era. In this digital era, however, it is being controlled by the corporation and has somehow influenced the development of the society, especially in Indonesia and other post-authoritarian countries. As we know, the end of the Cold War in the late '80s had shifted the role of the state to the corporation. Sharing experiences and discussion of the issues is broken down into several programmes such as exhibitions, screenings, multimedia performances, symposium, discussions, and workshops. Further details of the festival’s statement can be seen on our website. The festival had many different programmes to offer this year. Can you give us a brief overview of the highlights not to be missed? 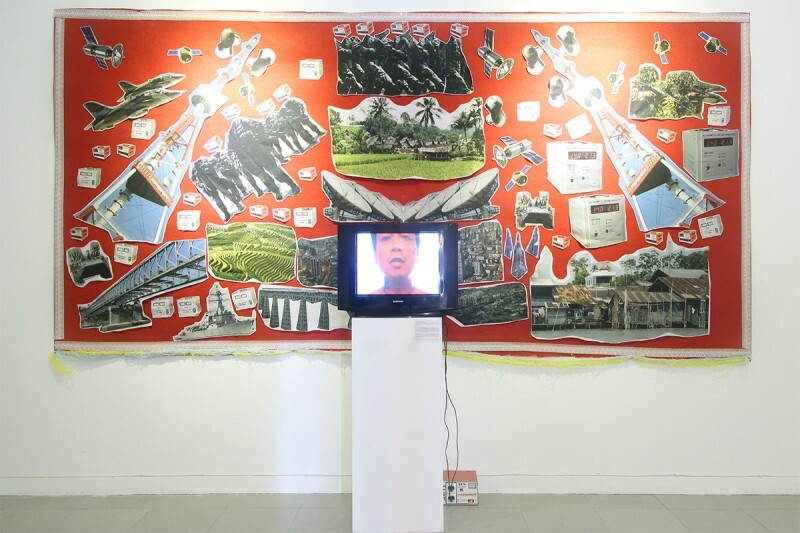 It is the first time that OK. Video is presenting multimedia performances by music groups such as bequiet and brisik; Racun Kota, a multimedia performance by Contact Gonzo (Japan) that relates the physical body with analog technology; and a social and political symposium featuring members of an online journal to specifically discuss socio-political issues in Indonesia. Can you tell us more about the Fringe events and in particular the Media Arts, Technology, and the New Order Symposium? The Symposium is one of the works of a group named IndoPROGRESS, a sociopolitical online journal managed by Indonesia's young generation. The symposium invited several speakers to discuss how media technology in the New Order regime formed the Indonesian society. The symposium discussed the political strategy of media technology in the New Order regime and its relevance to the current media situation. Another fringe event is the online exhibition showcasing the internet-meme trend in Indonesia. This online exhibition is curated by the young curator, Aditya Fachrizal Hafiz, and saw the appearances of some Indonesian artists known for using social media as their exhibition gallery. There is also an Open Lab programme which brought together four communities in Indonesia – lifepatch, WAFT Lab, Digital Nativ, and MakeDoNia – to discuss about the media and technology culture in the society, and to create various applications using the technology that is close to the society. Updated information on the fringe events, including the recap and papers from speakers can be accessed on our website as well as on our social media channels. How many artists did you welcome, and from which parts of the world? In the end, we had 73 participating artists from 21 countries: South Africa, the United States, Austria, the Netherlands, Belgium, the Czech Republic, Hong Kong, Indonesia, UK, Japan, Germany, Canada, Colombia, South Korea, Norway, Pakistan, the Philippines, France, Russia, Venezuela, and Vietnam. What about Ruangrupa? Can you share with us some of the other projects and initiatives that your artists have planned for this year? In June 2016, Ruangrupa will be curating Sonsbeek Festival 2016 in Arnhem, the Netherlands.